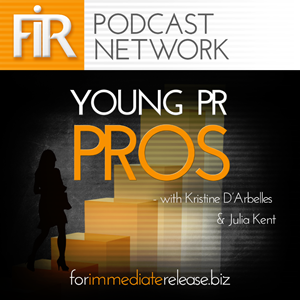 We’re proud to announce that Young PR Pros is the latest podcast to join the FIR Podcast Network. Introduced in 2012 by Kristine D’Arbelles and Julia Kent, Young PR Pros covers a range of topics of interest to those at the early stages of their careers in PR and communications, from job hunting skills (like building resumes and interview tips) to the state of PR and communications and how young PR professionals can shape the industry’s future. As the show’s popularity has grown, D’Arbelles and Kent have been invited to universities and communication events across Ottawa to speak about building a career in PR. Listeners tune into the podcast from across Canada and around the world, including the U.S., Australia, and India. We’re thrilled to introduce Kristine and Julia to the FIR community! Kristine D’Arbelles Kristine D’Arbelles works for the Canadian Automobile Association as Manager of Public Affairs. There is never a dull moment in her day, whether it is media interviews, managing the CAA National Twitter account or managing a new project to keep Canadians safe on the road. 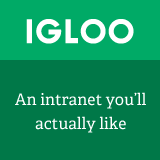 During her spare time she builds relations with IABC Ottawa members as the Vice-President of Membership on the board. She also helps impaired speed skaters in their endeavors to one day make it to the Paralympics. She does so as the Director for the Impaired Speed Skating Association of Canada (ISSAC), a not-for-profit that empowers impaired speed skaters and provides funds for training, travel and equipment expenses for Canadian impaired skaters. Julia Kent is a communications and marketing professional in Ottawa, originally from Halifax. A graduate of Carleton’s journalism program, she is experienced in broadcast journalism, public speaking, event management, social media, marketing, communications, proposal and web writing. Julia is the communications chair on the executive council for the Carleton University Alumni Association, the Ottawa chapter president of the Halifax Grammar School Alumni Association and the former industry relations manager for IABC Ottawa. In her free time, Julia writes for her food blog, reads for her book club and plays competitive soccer. As always, we’re grateful to Effective Edge for the design of FIR Podcast Network album art.